There’s some good Electronic Arts news that has EA stock heading higher on Monday. Electronic Arts (NASDAQ:EA) says that the recent launch of its battle royale game Apex Legends is doing incredibly well. The company notes that the game was able to surpass 10 million players just 72 hours after its launch. That Electronic Arts news is already a big positive for the company, but there’s more. EA also mentions in the same announcement that Apex Legends has surpassed 1 million concurrent players. 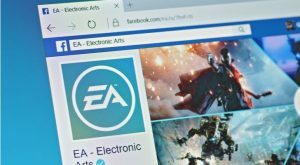 The Electronic Arts news boosting EA stock on Monday is helping it recover from the company’s recent earnings report. While the earnings report did see the company beating Wall Street’s earnings per share estimate, it missed revenue estimates for the quarter. Earnings per share came in at $1.95 and revenue was $1.61 billion. Wall Street was looking for earnings per share and revenue of $1.94 and $1.71 billion. EA stock was up 6% as of Monday morning and is up 21% year-to-date. Article printed from InvestorPlace Media, https://investorplace.com/2019/02/electronic-arts-news-boosts-ea-stock/.